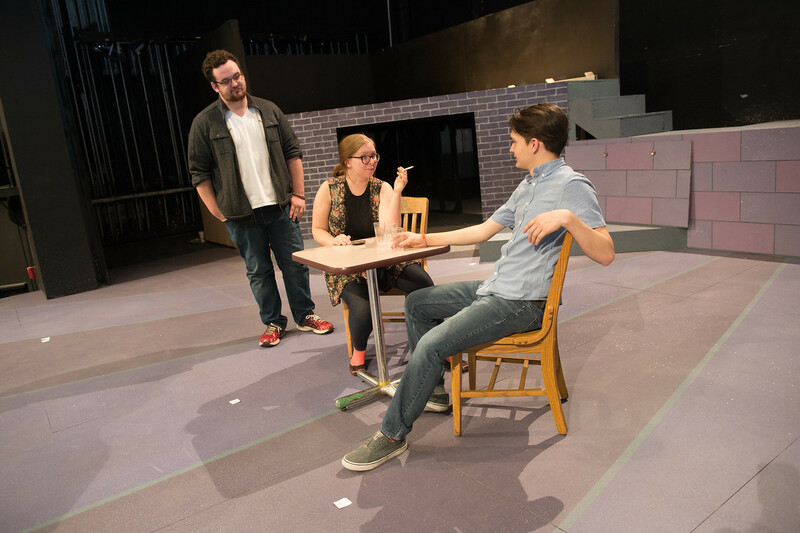 Touring Indiana State University's upcoming production of "Company" will be West meets East, as the theater and music departments will take the show to Vietnam this summer. "It's very exciting," said Olivia Underwood, a theater major from Paris, Ill. "For a lot of people in the cast, this will be their first time traveling outside the country, and I know for at least a couple of people, this will be their first time on a plane." "The Vietnamese are really excited about this, because they have no idea what musical theater is. It's just not in their cultural context, so they're ecstatic to see how we work, both artistically and educationally with musical theater," Berchild said. "For them, the philosophy of music is different. Music in Vietnam is not necessarily a political thing, but it's very politically minded. It's not as tied to entertainment or sheer enjoyment of song," he added. "They have very few styles that operate like we understand theater to operate. It'll be a whole new experience for the Vietnamese students and a lot of the Vietnamese faculty as well." Underwood stars as Joanne, a cynical middle-aged woman who has been married "three or four times." "I really enjoy Joanne," Underwood said. "She's a drinker, a smoker. She's not particularly nice. She has a lot of defense mechanisms, and a lot of those are mocking other people before they can mock her. She's fun to play." A senior, Underwood can't necessarily relate to Joanne's hard-scrabble ways, but she aims to bring nuance to her character's motivations. "Joanne seems to exemplify why marriage isn't good. She's been married several times, it's always something she jokes about, but I think she has something surprising to say and she surprises Robert, the lead, with what she says." While the cast can't necessarily relate to the challenges of marriage personally, they do understand making big life decisions. "Whether it's marriage or getting a job, they will have big things flying at them at every turn. What's happening next semester? For this group, how are we going to do this in Vietnam? It's all part of ‘What do I next? Do I do the expected thing? Or is it better for me to do the unexpected thing?'" Berchild said. "The great thing about these kids is they're all willing to take a chance and buy into the unexpected. I think they're enjoying that." "It's such an interesting story about the relationship between friends who are married and unmarried, the way that couples work versus single people," he said. "You really begin to realize that a play set in the '70s is absolutely no different from today. The politics and ideas - the context may have changed - all the basic foundational ideas are the same." Sondheim's musicals -- "West Side Story," "Sweeney Todd," "Into the Woods" -- are as diverse as this Indiana State cast's wide ranges of experience. "I really love Sondheim. His work has always been fascinating to me and is extremely challenge for our students, because his vocal parts can be excruciating at times," Berchild said. "My partner-in-crime, Mark Carlisle, really gets them into the music and hammers on it. They really are confident in what they do because of him. 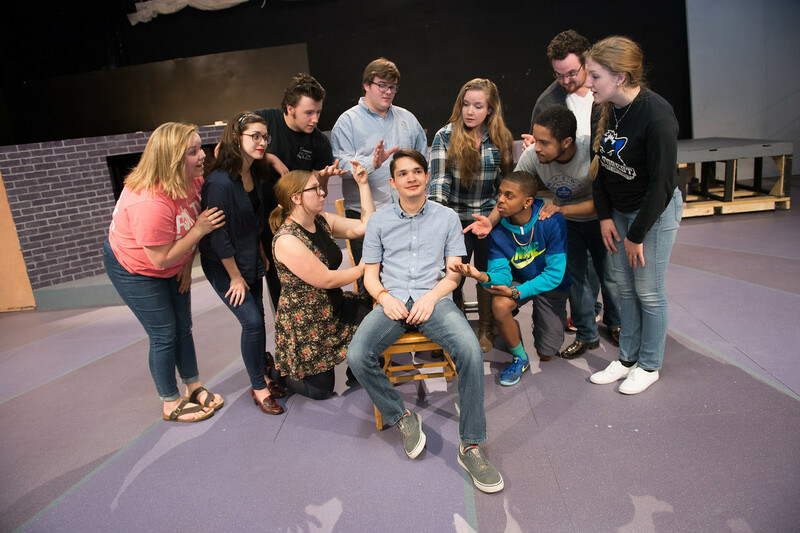 "They all bring such a great variety of skill sets and ideas to the table that every rehearsal is a blast," he added. "Finding out where people need to build their skills and what their current skill set allows them to do that is unique and fun has been great -- especially anticipating a two-week tour to Asia with them." The script by George Furth was supposedly written from the playwright's experience in marriage counseling. "It's a very good play. It has a lot of powerhouse numbers in it," Underwood said. "I'm a big fan of Sondheim, and he is surrounded by a very good script here. It's funny, it's good and it's touching." "All of it is there to create a world that helps tell the story. In a piece that's set in the '70s, you don't want 21st century technology suddenly screaming its way at the audience, but if we can do it deftly, we can use that technology in ways that people don't realize it's 21st century technology." Tickets are $20 each, with up to 50 seats available for presale, noon-4:30 p.m. April 4-8 in the New Theater lobby, 536 N. 7th St. All other tickets will be available for purchase beginning 90 minutes before each performance. Indiana State students' admission is free with a valid student ID. Photo: http://photos.indstate.edu/Other/Media-Services/Media-Arts/The-Company/i-ktxd5sR/0/X2/March%2021%2C%202016%20The%20Company%200001-X2.jpg -- Part of the cast of "Company" is seen. http://photos.indstate.edu/Other/Media-Services/Media-Arts/The-Company/i-BK8x5CP/0/X2/March%2021%2C%202016%20The%20Company%209913-X2.jpg -- Olivia Underwood, center, stars as Joanne in Indiana State University's production of Stephen Sondheim's "Company."